SSSO welcomes new members. We offer a friendly and supportive environment for making music and currently have vacancies for percussion and all strings, especially double bass. We rehearse on Wednesday evenings from 7.30 pm to 9.45pm in Melville. Click here for full details. No auditions are required and all ages can apply. As a guide, we would recommend that you are comfortable with the repertoire of AMEB Grade 5 or higher. Why not come down and check us out? Please download and complete the following form. Bring the completed form to your first rehearsal or email to enquiries@ssso.org.au prior to your first rehearsal. 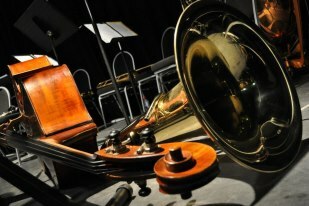 To support the Orchestra’s development, fees apply. We endeavour to keep fees at a reasonable rate, with concession fees for eligible members. For more information please contact Danielle on 0415 678 905 or by email.